The Engraved Fleur de Lis Bracers proudly display one of the more popular symbols found in heraldry and still found across the globe today. This symbol of nobility was originally based off of the stylized appearance of a flower, the lily or the iris. Regardless of its floral beginnings, this symbol was once proudly displayed in heraldry across medieval Europe, and it still thrives today, appearing on flags and coats of arms. The symbolic meaning of the fleur de lis was never clearly defined, however. It falls to personal interpretation. 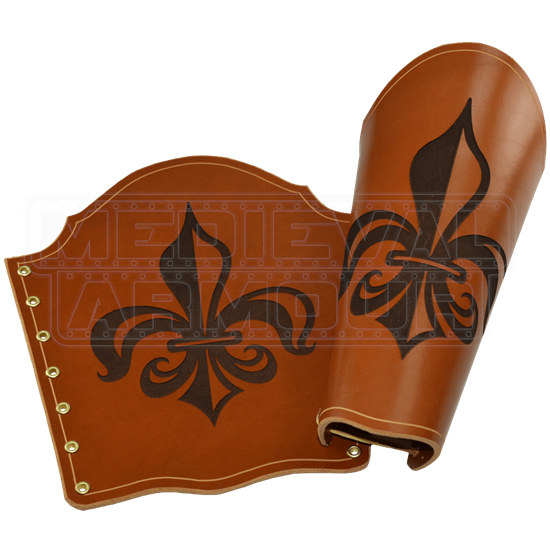 This bracer features a very simple, very classical fleur de lis that has been engraved into the leather, while the leather bracer itself has been hand-crafted from quality leather. They are available in 7/8 oz. leather, or in thicker, sturdier 13/15 oz. leather. They feature gentle curves that, when worn, give the bracer a wonderfully smooth and rounded appearance along the upper and lower edges. Eyelets line the left and right sides, which allow for the provided leather laces to be threaded through ensuring a tight, yet comfortable fit when worn. The Fleur de lis is no longer just a symbol of nobility and royalty. 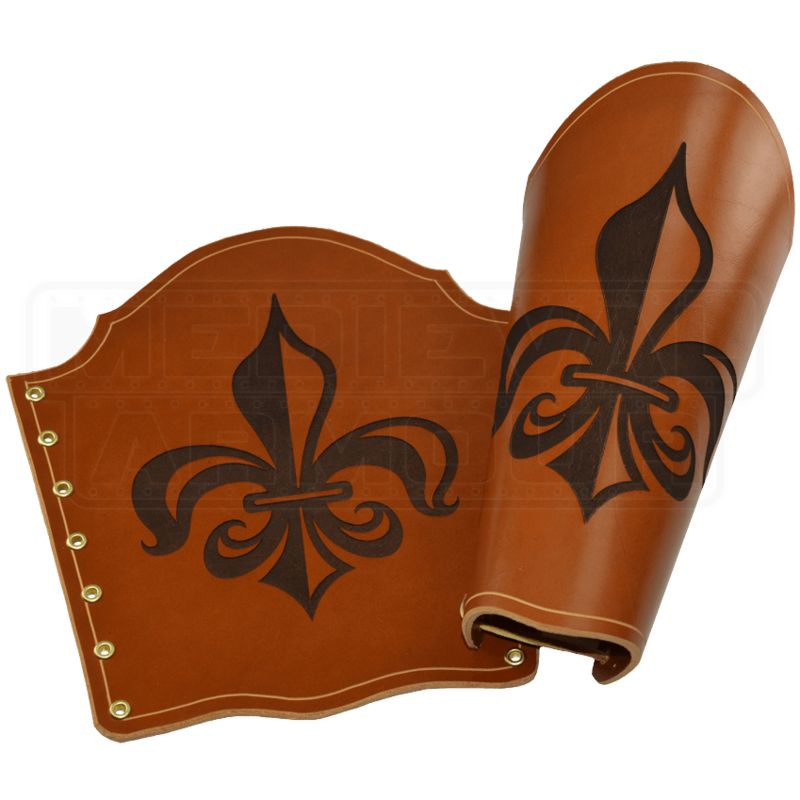 It is a symbol of the people, one that you get to define personally with your own Engraved Fleur de Lis Bracers.